The data is in - adding a personal touch to your brand tweets is one of the best ways to increase engagement. According to a Twitter survey of 14,000 people who engaged with branded customer service Twitter accounts, when brands created personal interactions - i.e. 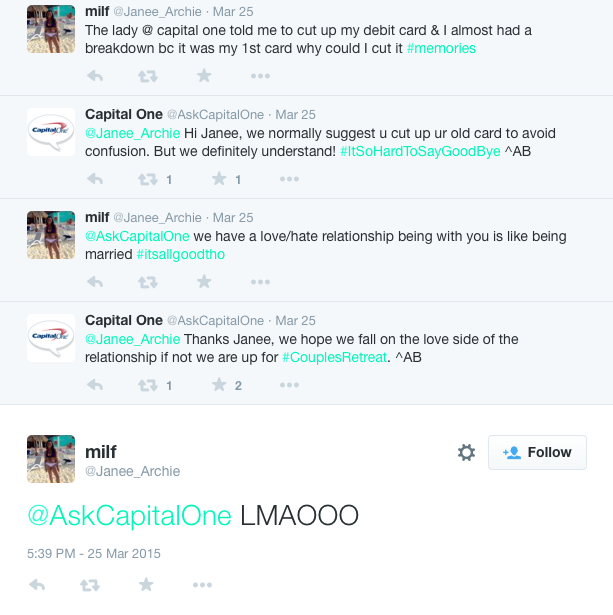 when brands included the customer's name and the customer service representative's signature in the response tweet - 77% of the customers on the receiving end of that personal touch indicated they were likely to recommend that brand. By comparison, 66% of Twitter interactors said they were unlikely to recommend a brand if the interaction wasn't personalized. "That's an easy step that brands can take to forge the relationship," Twitter research manager Meghann Elrhoul noted to Marketing Land "Customers are really looking for a humanized connection. They want to feel that they're talking to a real person and having that personalization helps add that component." 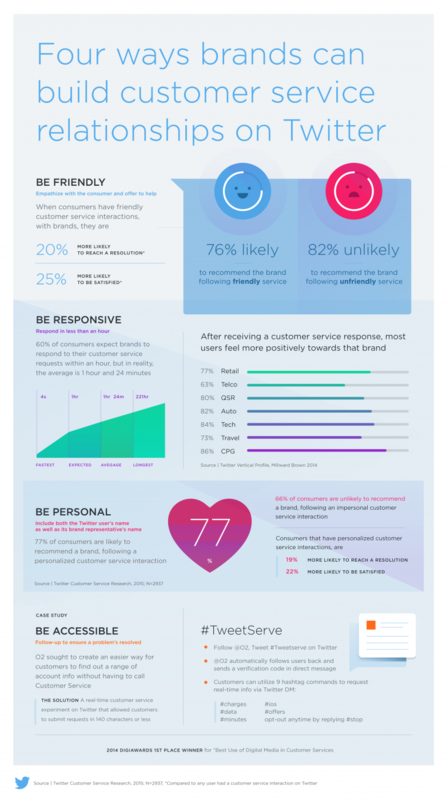 The finding is one of several included in an infographic created by Twitter aimed at helping brands boost their customer service efforts on the channel. This comes at a time when Twitter is working hard to showcase the network's potential as a business platform, with additions like lifting the character limits on direct messages (DMs) and the release of a 126-page "Customer Service Playbook". With the importance of word of mouth at an all-time high for businesses, these findings definitely stand out as important and relevant concerns that should open the eyes of brands considering whether Twitter, and social media more generally, is right for them. The full infographic is below.